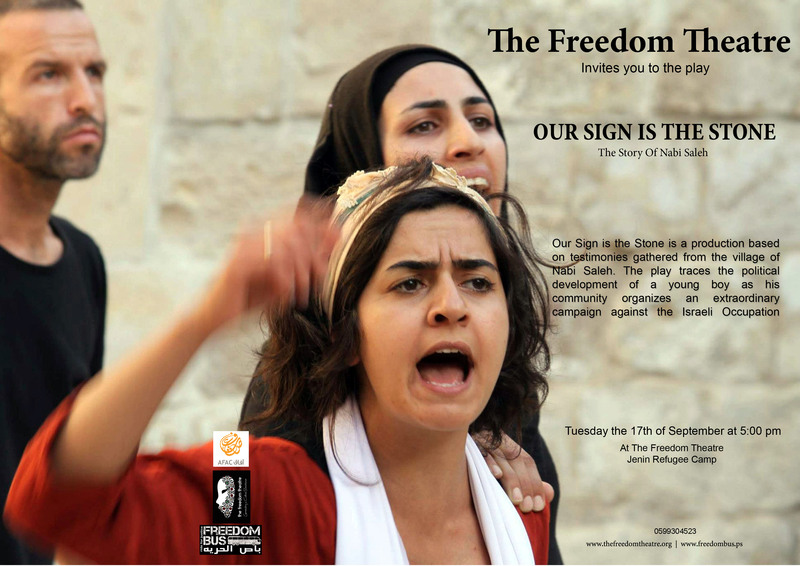 Our Sign is the Stone – the story of Nabi Saleh, our very own production, will be performed all over the West Bank in the coming weeks. Opening at The Freedom Theatre in Jenin refugee camp on Sept 17 at 5 pm. For the following performance dates, see The Freedom Theatre’s website. Ahlan wa sahlan!